When it comes to workouts it’s always a good idea to try something new, give your muscles a surprise and a challenge. So when I got the opportunity to try out F45, I jumped at the chance to attend the Yorkville class. Originating from Australia, the F45 is a new workout which combines elements of conventional weight training and cardio with functional movements in a High Intensity Interval workout all done in 45 minutes. The F is for Functional Training, which is the engagement in exercises that mimic or recreate everyday movement. A big bonus about the F45 is that everything is pre-planned for you and no two workouts are the same; the style of training uses movements such as lifting, squatting, jumping, rowing, punching and biking. This style is used by some of Australia’s biggest celebrities such as Hugh Jackman and Nicole Kidman! The workout is fun because music is involved – on the weekends there’s a live DJ! I found this to be very helpful, especially in the tough sections where I could focus on the music instead of how much that particular station was making me work. In addition, the class I attended was viewed on a series of TV monitors which provided a station by station diagram of the workout; this made it easy for me to see exactly what I was supposed to be doing. Motivating instructors were also available to help and encourage. All in all, F45 is a great workout that is challenging but fun. Give it a try but bring your water bottle … you’re definitely going to need it! 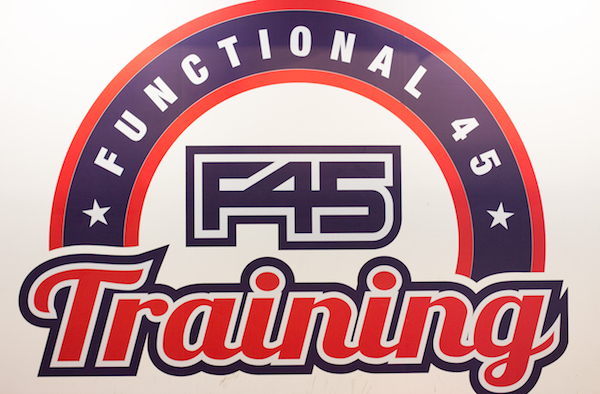 F45 Training is available at 110 Bloor Street West in Yorkville. For more info visit f45training.ca/yorkville www.facebook.com/f45yorkville and Instagram @f45yorkville. Contact [email protected] or call 416.409.8908.